Yes this blog is still active. We just had a bit of a bumpy summer making it rather difficult to find the will to write. I won’t touch on that right now so I’ll just move on. The top of the pilot house has been an eyesore since we got Pathfinder nearly 6 years ago. Sort of painted… sort of rusty etc. So a few years I took a crack at trying to fix that… then the weather turned because of course it did so all I had done was sanded the paint off and some rust. Which meant the next year it was even MORE exposed to the elements instead of less… great. So it rusted even more. Well NO MORE I SAY! 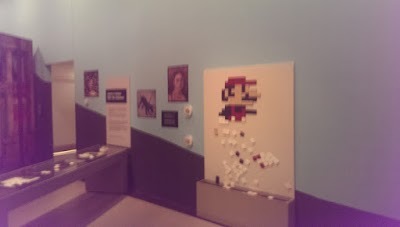 (we left it unfinished since we wanted to see more of the Pompeii exhibit but someone else finished it later when we found an image of it online!). And of course I painted the top of the pilot house. When we got it it was a sort of beige-brown colour. We went with White to keep the pilot house cooler this coming summer. Anyways here’s the album. So ya. Next year we’ll finish a bit more towards the bow on the pilot house and may do a fancy maple leaf design on the top just to make it look schnazzy. So there ya go! Another job done! Oh. One last thing. You wouldn’t think it’d impact things much but just painting it white has lowered the temperature of the pilothouse by a noticeable amount. Usually it’s a bit too hot to stay in for long without opening windows and hatches. Nice Job son, next the pilot house itself??? Can’t wait to see it. Hi Ken! Nice to hear from you. We’ve been taking good care of the old girl as you can see. Definitely would love to show off what we’ve done to you at this point. Stay safe!